Whoops! I recorded this on Saturday but stupidly forgot to get around to the crucial uploading part, so here’s Episode 9 of the James Newton show, a little later than usual. As today is blog carnival day – over at Akusai’s excellent VGmusings – I’ll be giving the rundown of my top three carnival submissions. There was some real quality in there this month, so thanks again to everyone. Next month’s carnival is taken care of by the prolific Jigsaw HC – let’s hope he doesn’t go to pieces about it. There’s also a sneaky world exclusive regarding Halo 3 as I become the only person in the world… well, you’ll see. I’ve been considering giving the podcast a TIME EXTENSION! for future episodes, as six to ten minutes seems pretty paltry considering a lot of other podcasts run at forty minutes plus. I try to keep things short and sweet, and I wouldn’t want it degenerating into two idiots talking – who’d download that? – but I would like to expand things a little. I’d welcome feedback about it! As always, check back next week for more in the way of Sega-biased news, chatter and tunes. Cheers! 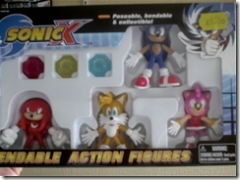 The Carnival of Video Game Bloggers for May! Submit your article for next month’s carnival! It’s becoming harder and harder to come up with clever titles for these podcasts. Not that I consider them particularly clever in general, but they’re certainly not getting any smarter! That’s not to say the podcast isn’t as entertaining as ever – there’s another winning combination of good news, bad news and even an exclusive LIVE report from a mystery location. Download the podcast here, and come back next Monday for another cracker! A slightly grand title for a podcast, I must say, but it signals that episode seven is here and ready to download. Sorry about the delay, but it’s been an extremely busy week here and there’s been a few things to contend with, but now I hope they’re all behind me and I can get a few more posts and podcasts coming at you in the coming weeks. Don’t forget to subscribe to the feed, and submit your entry into the next Carnival of Video Game Bloggers, very kindly and ably hosted by Akusai over at VGMusings. Pop over to the Carnival homepage to submit your entry! With practically nothing of note happening in the world of games, this week’s podcast has a rather patchwork feel to it, which I like. The big news is today’s excellent Carnival of Video Game Bloggers, but I also let loose a few first impressions of Okami, Phantasy Star Universe and wax lyrical about the all-conquering, universe-changing Virtua Fighter 4: Evolution. Carnival of Video Game Bloggers – the April edition, hosted by my brother Phil at www.sodaware.net. Excellent articles and a great post too. Well worth your time! Virtua Fighter.com – the best VF site ever created. Thanks to Hiro, this week’s podcast has a tremendous subject: are Sega’s franchises enjoying a renaissance on Wii? As well as discussing the upcoming revivals I also touch upon which games from their rich past would make for fantastic sequels on the Wii. You can listen to the podcast here, and subscribe to the feed with this link. Thanks for coming by, and feel free to make suggestions and leave comments! The James Newton Podcast continues apace with the fourth show, and the first one done by request – thanks to Jeffrey White for the inspiration behind this one! Following on from last week’s show about my hopes for NiGHTS: Journey of Dreams, today I go into more detail about my favourite features of the original NiGHTS into Dreams and why it’s so innovative and enjoyable. I explain Nightopians, the incredible remixing music and a few little touches that are just plain cool. You can listen to this fourth episode here, and don’t forget to subscribe and leave a comment. There’ll be another episode next week, and you’re free to request or recommend content! Let’s face it – there was only ever going to be one topic for this week’s podcast! 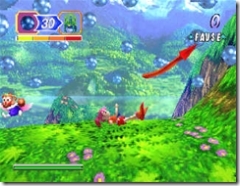 With the first screenshots of NiGHTS: Journey of Dreams on Wii revealed last week (scans are available here!) and the promise of a sequel to what I consider the greatest game of all time, this week’s episode features me discussing the original and the promise of the sequel. Expect much, much more on the NiGHTS sequel in the coming weeks and months as I get incredibly excited and share all my thoughts, hopes and fears. Listen to the podcast here, or here to subscribe to the website feed! ScoreAttack.net – home to videos and techniques from the world’s greatest NiGHTS players. 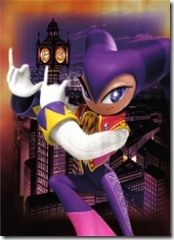 NiGHTS into Dreams – my in-depth scoring article on the original’s addictive appeal. Yes, it’s the second episode of the James Newton Podcast (suggestions for snappier names welcomed)!, featuring five of the very best games released on the DS in the coming months. There’s some adult entertainment, juvenile fun and probably the best reason to leave the house this summer. To listen to the podcast, simply right-click and save this link, then pop it open with your chosen mp3 player. It appears I’ll have a little backtracking to do in the coming weeks, with Swedish magazine Game Reactor breaking the exclusive news on NiGHTS into Dreams for the Wii, and TRiPPY from NiGHTSintoDreams.com claiming to have known about it for ages. Well nobody bothered to tell me! Nah, it’s fine – I had no credibility anyway, so losing it in favour of getting a new NiGHTS game is a sacrifice I’m perfectly willing to make. Bring on NiGHTS 2! Bringing you the very best of intelligent gaming articles, the Carnival of Video Game Bloggers unites game writers from all over the world in a rampant celebration of those who play games. Last month’s first edition was a huge success, and this month’s is even bigger. Well, let’s get on with the show! I’ve also chosen today to launch the first episode of my podcast, which today looks at the Carnival and the European PlayStation 3 launch on Friday. Click to download here! JC Barnett posted one of my favourite articles this month, an intelligent and insightful look into how video games are developed, and whether we can learn from other media. Do as the Hollywodians also contains my favourite kind of chart: flow chart. Top marks! On similarly smart grounds, TherapyDoc writes on a topic we probably all think about: addiction. Parts of “Paying attention while under the influence: Internet & Spider Solitaire Addictions” sound very familiar to me – when playing games I can only communicate with eyeblinks. Don’t forget to subscribe to the RSS feed! With World of Warcraft still claiming the time of so many around the world, Praveen from My Simple Trading System alerts us to a shocking unseen aspect of WoW: Video Game Sweat Shops. Kristoffer Belau looks back on some hard times in his life, and specifically the 5 most difficult games ever, including a few surprises – no Ikaruga? Perhaps he’s just got awesome reactions. Next up is that warmongering Akusai with a call to arms to all responsible game players out there: Our World is in Peril. There is a very real evil out there, and Akusai is joining the charge against it. Our next entrant is Gazz from My Opinion on Stuff – at the time of writing the website seems to be down for me, but I’ll post the link and hopefully it’ll work a little later. I thought I’d take a leaf out of our next two bloggers’ books and submit multiple articles myself this month. The first is Truly Underrated Games: Shining Soul II, examining one of my favourite action RPGs. The second is Sega’s DS Surprise: Best-Case Scenario, outlining my hopes for Sega’s “totally surprising” announcement for Nintendo DS this year. Make a blogger’s day – leave a nice comment on their article! The Real Purpose of the New Everyone Votes Wii Channel Revealed! It was a great effort with six very varied Nintendo articles looking at fangames, “Wiishes” and hidden agendas. However, sadly his crown has slipped from its perch and onto the head of a new champion! 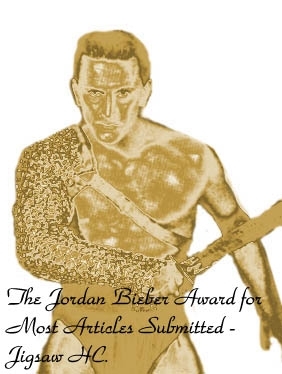 With a mighty and unbeaten eight articles submitted, it gives me great pleasure to hand over the second Jordan Bieber Award for Most Articles Submitted to Jigsaw HC! I even made you a special image you can use on your site to indicate you won the most prestigious award in the world. Congratulations! Thanks to everyone who submitted articles – we’ve got a whopping twenty-two posts here, easily beating last month’s pretty impressive total. For a fledgling carnival I think things are really taking off! Next month’s carnival will be hosted by my brother Phil Newton over at Sodaware:: Adventures in Shareware. It’s another open-mic session so keep on sending all your articles and thoughts in from the Carnival homepage. Just a quick note – if your comments or trackbacks aren’t appearing that’s because my spam intake has gone through the roof. I checked in on the carnival this morning to find almost 600 spam comments waiting for moderation! There could have been a few genuine comments in there, so I apologise if it doesn’t show. I hope you enjoy this month’s carnival, and be sure to leave a comment on someone’s work – they’re sure to appreciate it! Don’t forget to subscribe to the RSS feed to be kept in touch with regular updates! Place a trackback or make a post about this carnival to share your readers with other bloggers, and receive traffic in return!